Specialties: Including, but not limited to Academic Underachievement, Attention-Deficit/Hyperactivity Disorder (ADHD), Adoption, Adults, Anxiety, Anger/Stress Management, Attachment Issues, Autism Spectrum Disorders, Behavioral Issues, Body Image, Career Counseling, Children, Coping Skills, Depression, Developmental Disorders, Eating Disorders, Emotional Disturbance, Family Conflict, Grief, Impulse Control, Infertility, Intellectual Disabilities, Internet Addiction, Learning Disabilities, LGBTQ+, Life Coaching, Loss, Men Issues, Mindfulness, Mood Disorders, Oppositional Defiant Disorder (ODD), Parenting, Play Therapy, Relationship Issues, PTSD, Self-Esteem, Self-Harming, Sleep or Insomnia, Sexual Abuse, Sexual Identity, Spirituality, Sports Performance, Teens, Teen Violence, Testing and Evaluation, Thinking Disorders, Trauma, Transgender, Video Game Addiction, Weight Loss, and Women Issues. Education and Experience: I have always felt a genuine compassion and empathy for other people in the world. I have been pursuing my passion for helping others for over 6 years. I graduated with my Bachelors degree in Psychology from Rutgers University in New Brunswick and continued to further my education by earning my Masters degree in Clinical Mental Health Counseling at Rowan University. I’ve worked with children, teens, and adults in individual and family therapeutic sessions. I assisted these individuals and families in creating realistic objectives, providing educational information, and presenting useful skills to help clients reach their goals. I believe it is important for clients to feel comfortable and open to sharing their experiences with me. The environment I hope to create for my clients includes trust, acceptance, and even humor. In therapy, I develop rapport with my clients, provide support, and utilize tools from appropriate evidence-based practices to help individuals meet their goals and improve their quality of life. 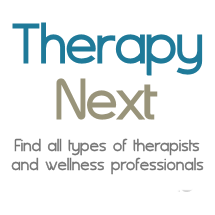 Some of my approaches to therapy include cognitive therapy, cognitive behavioral therapy, play therapy, psycho-education, mindfulness, motivational interviewing, person-centered therapy, psychoanalytic, family systems, and solution-focused therapy. I really value spending quality time with friends, making others laugh, reading, and relaxing with my cat. I also enjoy traveling to different countries and to other U.S. states in my free time.